There's a new cafe on Church Street located right next door to the Royal Saxon and as it's we pass it on our way to the market, we thought we might pop in for a spot of breakfast. 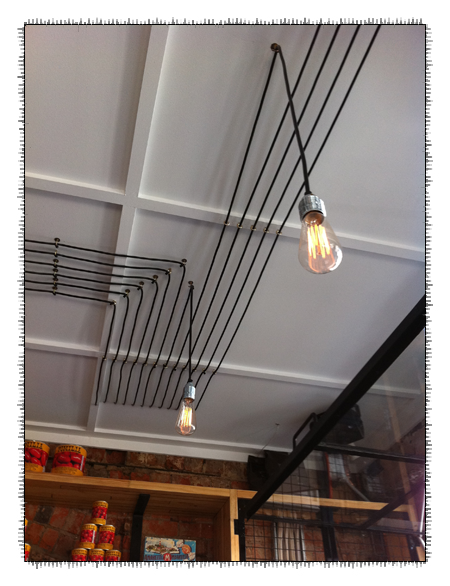 Aren't they cool lights? The whole place has a nice feel with what looks to be a large dining area out the back in the courtyard. At $18 this isn't what you'd call your everyday breakfast but it is well made and very tasty. 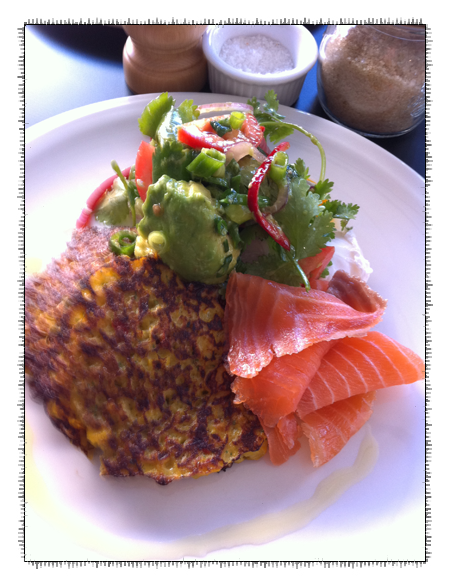 The corn fritters are excellent - chock full of sweet corn kernels. Although I did order bacon, for some reason it never made it to my plate and as I really couldn't be bothered waiting for it to be cooked I was satisfied with what I had. 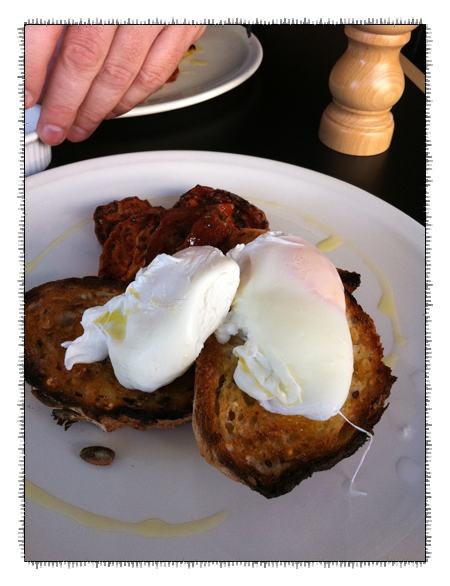 The eggs were perfectly soft, lovely and runny. Special mention must go to the coffee - perfect temperature, we easily knocked back 3 each!